Company logo appears in larger, more prominent position on the back of the t-shirt and in race promotional materials, and signage. Fifteen (15) entries and/or t-shirts included. Company logo appears on back of t-shirt, on race materials and signage. (Eight entries and/or t-shirts included). This event listing is for sponsorship information/registration. Information on the run can be found at www.lakc.net/lakc5k. To register as a walker/runner, visit: https://runsignup.com/Race/MO/KansasCity/LAKCRunforJustice5K. 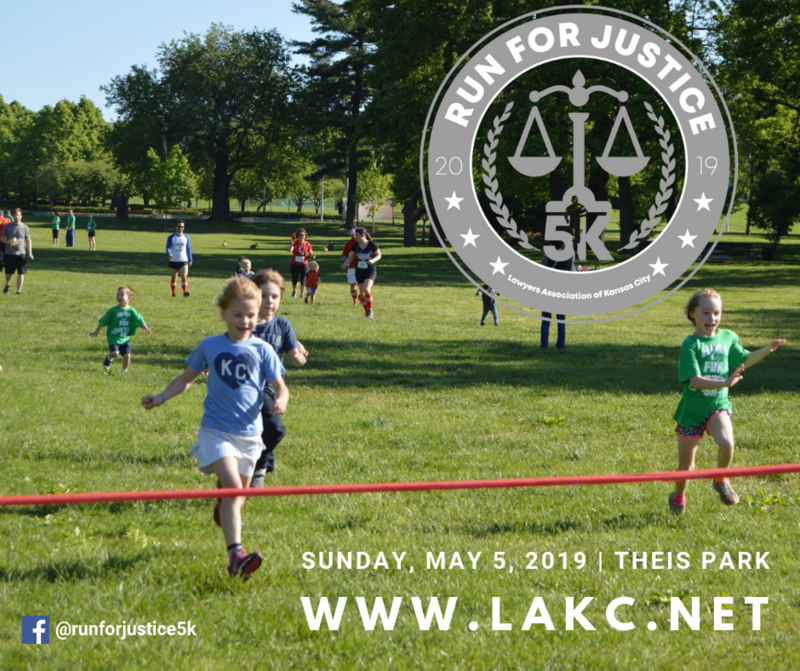 Our annual 5K Run/Walk benefits Legal Aid of Western Missouri. The 5K Course begins at Theis Park, continues west along the Brush Creek river walk to the west side of the Plaza, returning to the grounds of the Kauffman Foundation. Runners and walkers are welcome. Please no pets. There is a kids run after the 5K run at 9:00am. You can also establish or rekindle friendly rivalries through the Team Competition. At no additional charge, runners may sign up as a member of a “Team” and compete for both individual and team awards. There is no maximum # of runners on a team; and the fastest three times will be combined to determine team’s time. In addition, a commemorative trophy and pizza party will be awarded to the Largest Team (# of participants, including volunteers) and a Spirit Award for best team costumes!